REHAB is 10 years old! And we celebrate that with you. Complete your outfit with a matching REHAB belt. The Kurt is the icon shoe from REHAB. Especially for our 10-year anniversary, we have retrieved several Kurt's from the past 10 years. 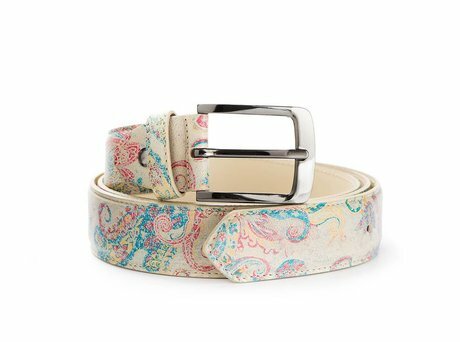 To make your outfit complete, we have designed a matching belt for your REHAB Kurt's pair. We make sure you will always leave the house in style! Ontvang direct een e-mail zodra de REHAB BELT KURT II TATTOO LL BLUE-SAND op voorraad is in jouw maat.